Home Politics The Nigerian Army Commends Gov. Yahaya Bello, Sets to Establish ‘Special Forces Battalion Barracks in Kogi State. The Nigerian Army Commends Gov. Yahaya Bello, Sets to Establish ‘Special Forces Battalion Barracks in Kogi State. The Chief of Army Staff (COAS) Lt.-Gen. Tukur Buratai has said that the army authorities had approved the establishment of a ‘Special Forces Battalion’ Barracks to be located in Okene, Kogi State. 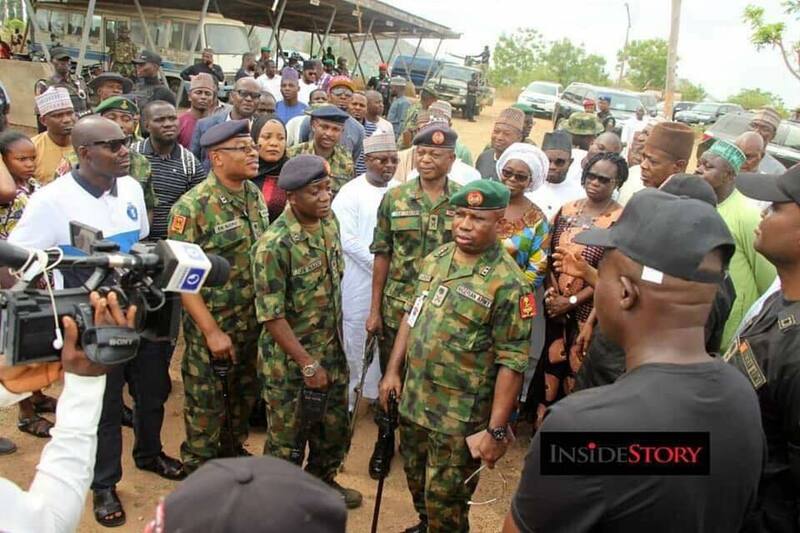 Represented by Maj.-Gen. Ademo Salihu, Commander, Training and Doctrine Command (TRADOC) Minna, Buratai said that the new barracks would enhance security of lives and property in Kogi, noting the government of Kogi State was doing a lot in securing life and property of her people.